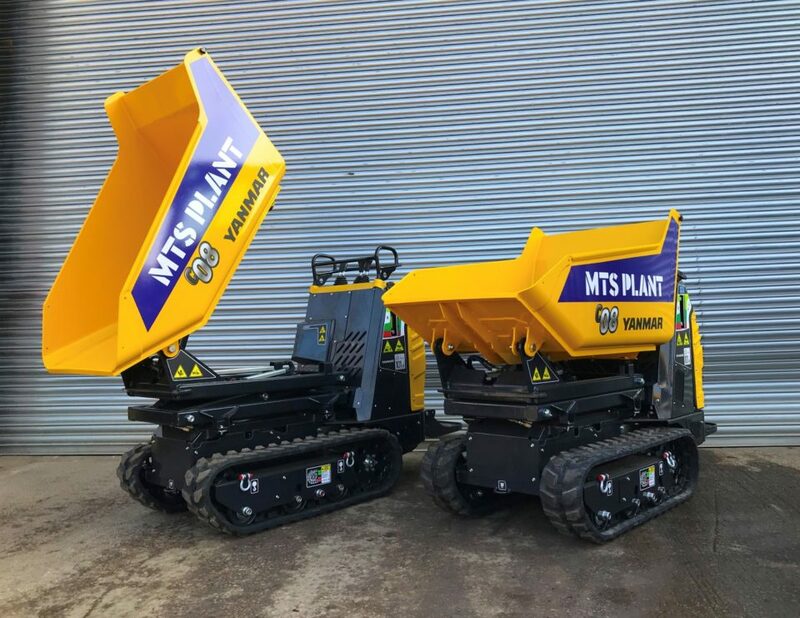 Here at MTS Plant we have recently increased our rental product offering by investing in a new range of Yanmar compact tracked dumpers. A number of Yanmar C08 0.8 tonne High-Tip Carriers are now available to hire from MTS Plant depots in Yorkshire, Lancashire, The North East and Central Scotland. The Yanmar C08 is a versatile and highly manoeuvrable machine, capable of carrying up to 800kg in its front hopper. Thanks to the high tip function which can raise the hopper up to 1.5m the C08 is perfect for domestic or commercial work where contractors have to load larger skips or dump into raised bins. Thanks to the machines narrow profile (just 835mm) the Yanmar C08 is able to operate in highly compact environments such as domestic gardens or interior demolition work. Many contractors have found significant time and labour savings can be made employing the C08 for moving materials, waste or debris vs using traditional methods. If your requirement is longer term, MTS Plant can help also. As official Yanmar construction dealers new Yanmar 0.8, 1.1 and 2.7 tonne tracked dumpers are available for sale from MTS Plant, and with a great range of finance packages, there has never been a better time to invest. Click here to learn more about the Yanmar C08 Tracked Dumper. Contact the MTS Plant team today to enquire about renting a Yanmar tracked dumper for your next project, or to get a quote on a new machine.